Hosting a big event in DC? Have a look at these unique ballroom spaces inside hotels. Big meetings require a lot of space. 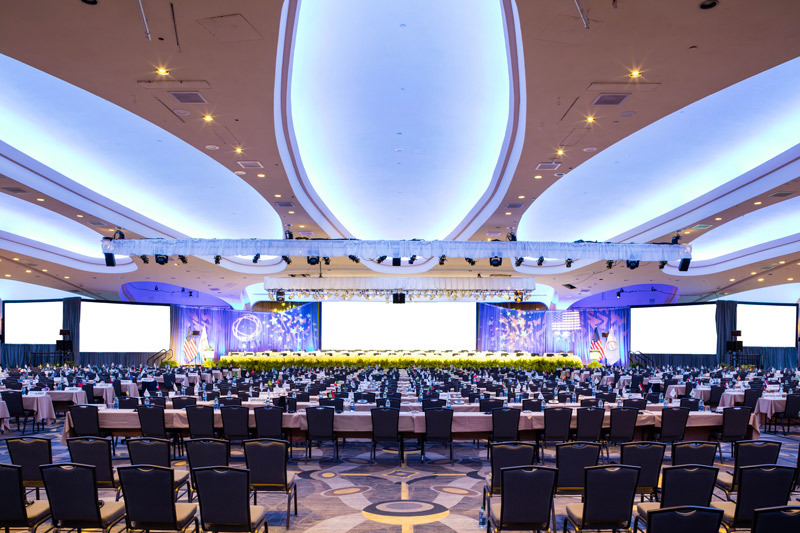 While the Walter E. Washington Convention Center offers the city’s largest ballroom at 52,000 square feet, DC hotels also provide a trusted range of great options. 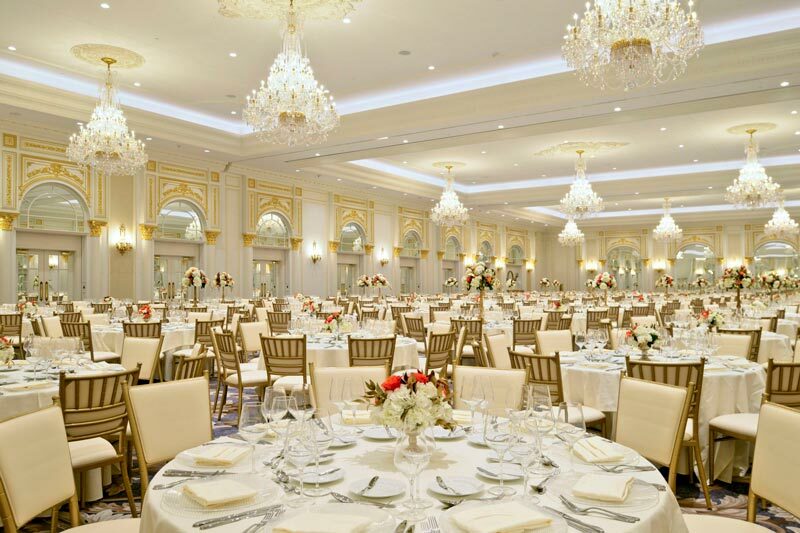 If you’re looking for a luxury ballroom, a window-filled space or a venue based on location, then check out these top options in the nation's capital. The Marriott Marquis was completed in 2014 and has earned the distinction of being the city’s largest hotel. It’s also the only hotel that connects directly to the Walter E. Washington Convention Center. Situated just north of Dupont Circle, the Washington Hilton makes up one-third of the Connecticut Avenue Collection, a scenic site for meetings and conventions. The unique oval shape of the International Ballroom offers column-free views as well as a 48-foot hydraulic stage. The hotel also has a dedicated VIP entrance to the back stage of its ballroom for high-profile speakers. The giant pandas at the National Zoo are a nearby draw, but the Marriott Wardman Park is also one of DC’s most historic hotels, having been built in 1918. The hotel is also a member of the Connecticut Avenue Collection. Offering convenient access to shopping, entertainment and the convention center, the Renaissance seamlessly blends style and functionality with 64,000 square feet of innovative event space, a variety of food and drink options and an on-site spa and fitness center. Like its across-the-street neighbor, CityCenterDC, the Grand Hyatt's lobby has been built to attract foot traffic. The “urban forest feel” sets it apart from other hotels downtown. No hotel on this list is closer to Rock Creek Park than the Omni Shoreham, whose windows show off the park’s best assets. This Connecticut Avenue Collection hotel also has a storied history: the Beatles stayed there when they played their first-ever U.S. concert. Located on America’s Main Street, Pennsylvania Avenue, the JW Marriott Washington, DC is only 2.5 blocks from the White House. Head to 1331 Lounge inside the hotel and look for a plaque officially recognizing the rickey as DC’s native cocktail. 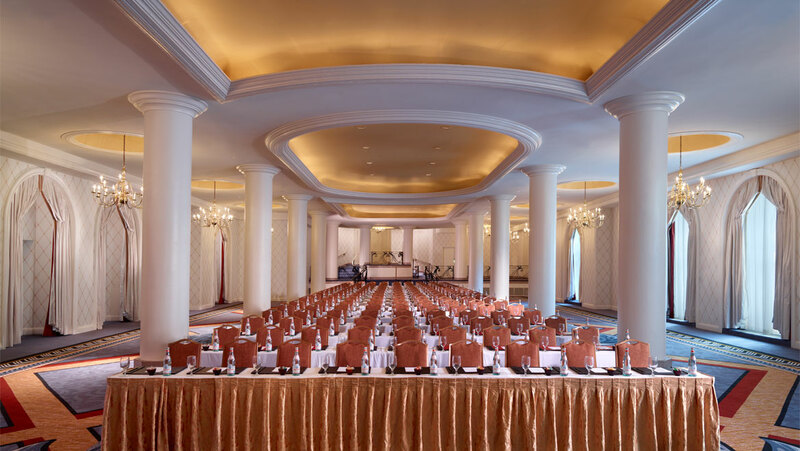 Host your meeting or event in the largest luxury hotel ballroom in the city at the only DC-based Trump hotel. The hotel inhabits the Old Post Office Building and opened in September 2016. 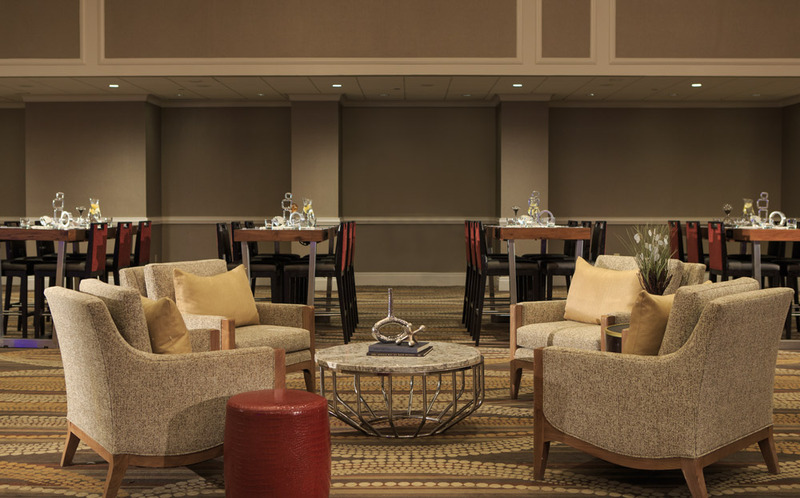 If you’re looking to host a modern meeting near the U.S. Capitol, the Hyatt Regency Washington has you covered. The Regency Ballroom’s 18-foot-ceilings offer plenty of open space for meetings and events. 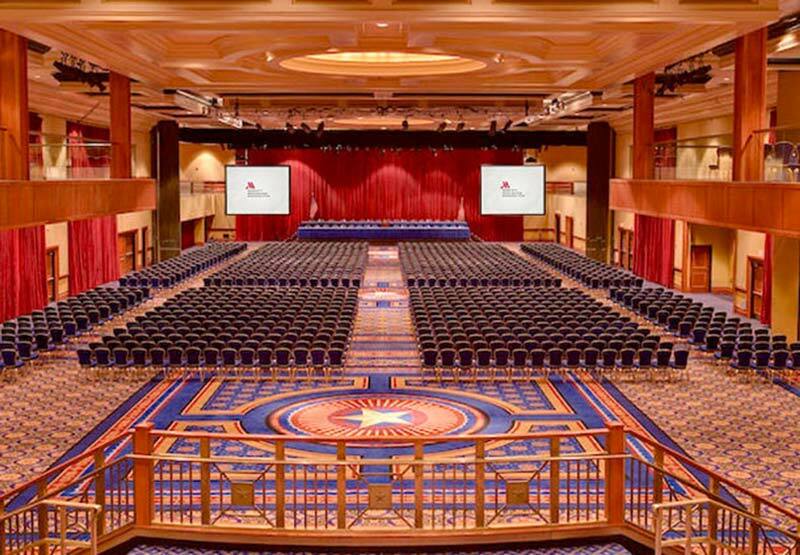 The Ritz-Carlton's large grand ballroom can fit all your meetings needs. In addition to its prime event space, the hotel is favored for its proximity to Georgetown, where attendees can explore in between sessions or on their day off.